File photo – Facade with logo and sign at the Pleasanton, California location of party supply store Party City, April 16, 2018. Party City will open about 50 Toy City pop-up stores later this year that will run through the holiday season, the company said in a statement, according to CNBC. They hope to fill a gap left by Toys R Us, now bankrupt, and closing its remaining stores this week. "The creation of a Toy City concept to complement our temporary seasonal retail strategy is a logical extension of our brand; one that will allow us to leverage our existing pop-up store capabilities and capitalize on the category whitespace that has recently been created,” said CEO James Harrison. 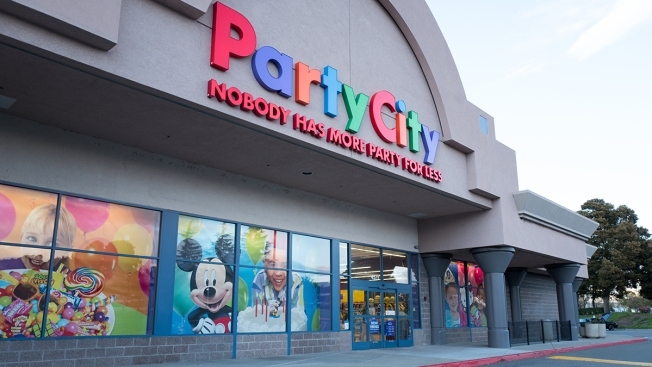 Party City said it will roll out the temporary toy stores alongside its Halloween City pop-up shops in “optimal” markets where it found attractive leasing options. The company will also expand its online market for toys, Harrison said.